Winmate integrates Core 2 Quad/Core 2 Duo Products with high quality and real-time industrial level solutions for our customers. We have Core 2 Quad/Core 2 Duo level Signage Display Module, Quad Display PC, Dual Display PC and Panel PC for power-effective embedded solutions. 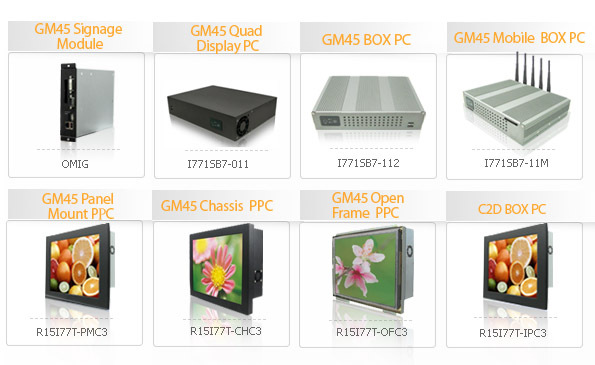 Winmate's GM45 product line covers numerous applications such as Digital Signage, Multi-display, PC BOX, Mobile PCs, Panel Mount PC, Chassis PC, Open Frame PC and IP65 PC. 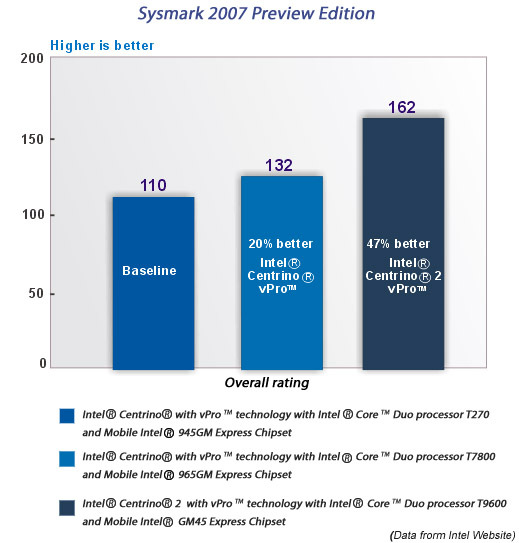 Compared to previous platforms of Intel 945GME, the overall performance of GM45 products is 14% higher. As Intel's data shows, 47% performance growth in comparison to 945GM Platform.